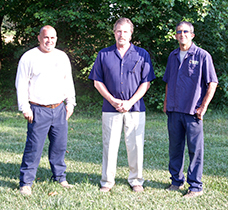 Owner Jerry Levanduski is a lifelong, committed landscaper. As a teenager, in the summer he pushed an old-fashioned rotary law mower down the street to neighborhood homes to maintain their lawns. Today, the NJNLA-certified professional horticulturist in his 31st year of landscape excellence operates one of the largest independent landscaping companies in the region. Levanduski studied horticulture at Mercer County Community College and holds several certificates from Rutgers University Continuing Education. Other certifications include Certified Pesticide Applicator, Integrated Pest Management, Soils and Conservation, Certified Playground Inspector, and ICPI Professional Hardscape Installer. 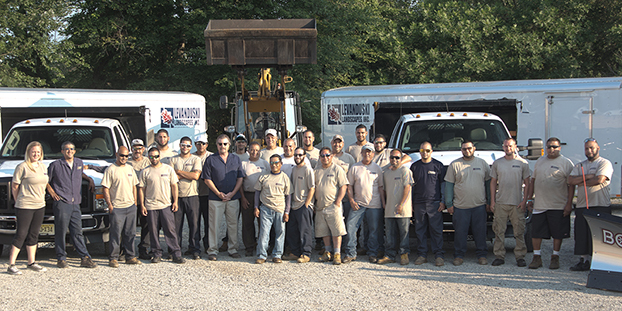 The Levanduski team is composed of 30-plus uniformed professional landscapers. From the entry-level worker (all of whom complete mandatory safety training before being allowed to set foot on a client’s property) all Levanduski employees must attend weekly in-service training for new equipment and technology, and safety awareness. Jerry Levanduski is not just a landscaping artist. He is a skilled guitar builder who creates, from scratch, handcrafted six-string acoustic guitars. The same strict attention to detail he uses in hand-making stringed instruments is evident in the approach all his workers take to clients' property. Our staff knows the forest but keep an eye peeled on each of the trees to properly maintain a commercial client's property. "Standardization? You'll never see a Levanduski Landscapes employee bring a cookie cutter to a client's property. 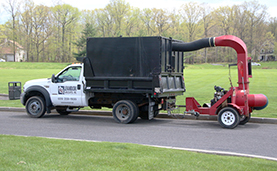 And, as knowledge-based year-round grounds maintenance experts we don't use guesswork," Jerry Levanduski said. "This scientific professionalism is evident in the biannual, science-based macro- and micro-nutrient analysis and soil testing we employ for each client. We don't just apply knowledge. We know the necessary optimum nitrogen, phosphorus, potassium, Ph., etc. and know to reach it." And, finally, our clients appreciate that our highly trained workforce maintains strict adherence to all OSHA, state and local safety guidelines.